A bunch of layered rectangles with various stitching. 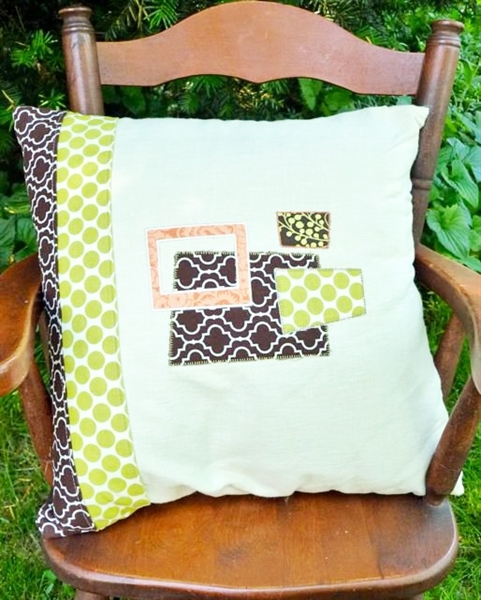 This design is perfect for layering. 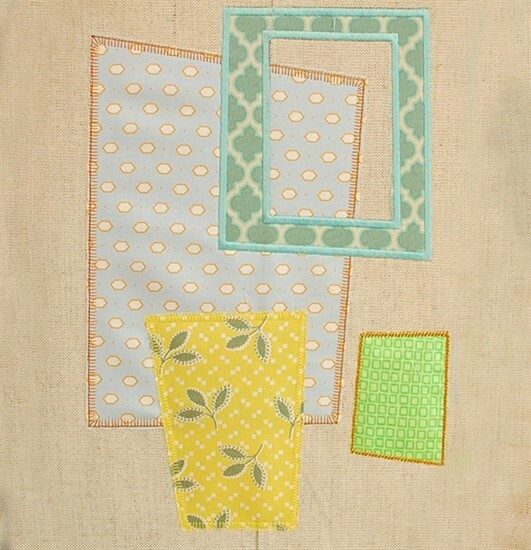 Stitch out the applique of rectangles and then stitch out another design on top. 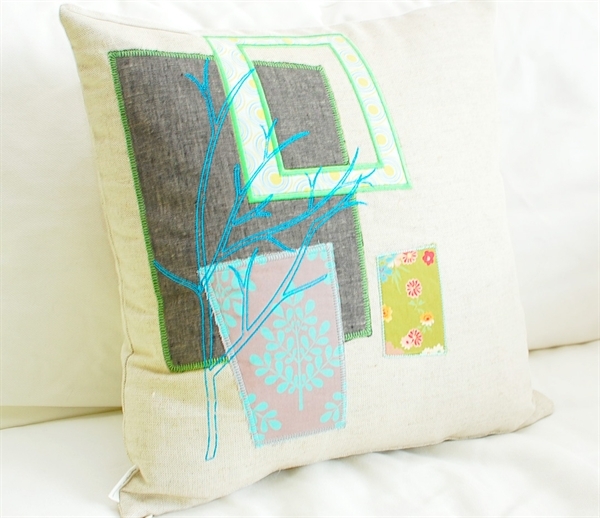 You can either stitch out the entire design as seen in these pillows or make your own layers with the single rectangles. 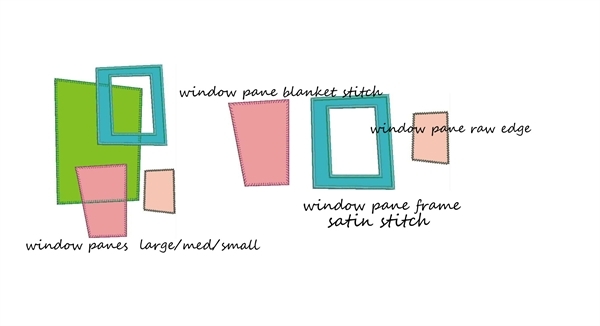 window pane raw edge small 1.4"x1.9"
window pane raw edge large 2.5"x3.6"
window pane frame satin stitch small 3"x3.4"
window pane frame satin stitch large 4.4"x5.5"
window pane blanket stitch small 2.2"x3.1"
window pane blanket stitch large 3.1"x4.5"